If you’ve never heard of Hotel Thrillist, you have no idea what you’ve been missing, but we are going to fill you in and give you a serious case of FOMO! The fun folks at Thrillist are renowned for throwing great parties, but every September they blow it out of the water with a final farewell to summer that has become legendary. 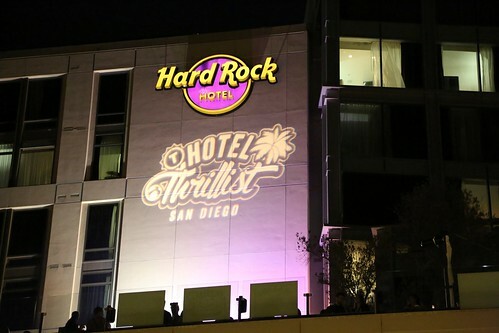 Taking over a different city each summer (and always selecting the coolest venues), this year was all about Hard Rock Hotel San Diego in Gaslamp District. 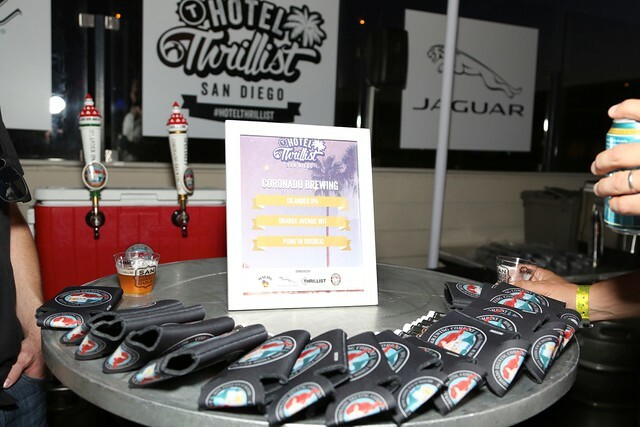 Walking into the lobby, we were excited to see the Hotel Thrillist logo everywhere – from the wall-sized LCD screen behind the front desk pods, to the branded surfboard leaned up next to Club 207 inviting us inside to get our wristbands and start the party off right. 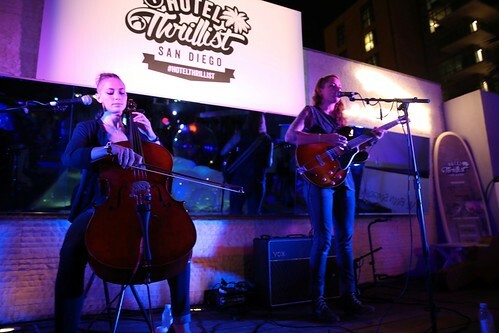 Friday night we invaded the hotel’s rooftop pool (appropriately named, Float) for Taste of Thrillist and enjoyed an upscale menu tasting of some of San Diego’s finest local restaurants. 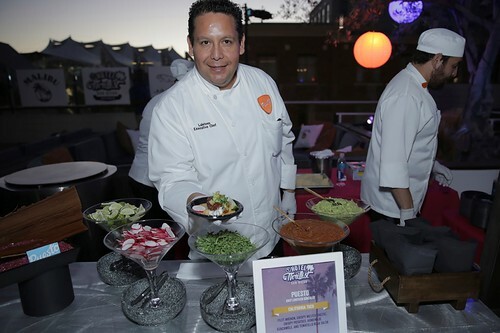 Hosted by celebrity chef Brian Malarkey, the evening featured so many great dishes we didn’t know where to start! Slaters 50/50 offered their Fundido Burger topped with onion rings, chilies, guac and fundido sauce. 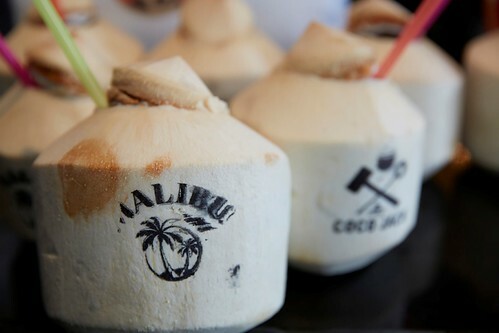 Talk about a party in your mouth! 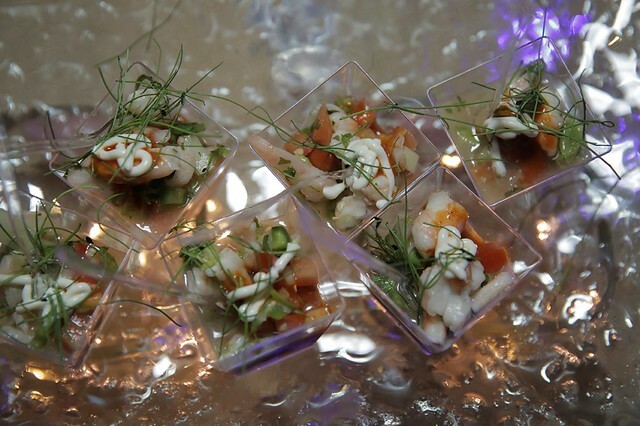 Casanova Fish Tacos handed out Baja shrimp ceviche that gave off some serious heat. WOW! The evening also included entertainment from indie folk singers Good Graeff as well as a mesmerizing acrobatics dancer floating around the pool in a giant bubble (we were all in awe!). 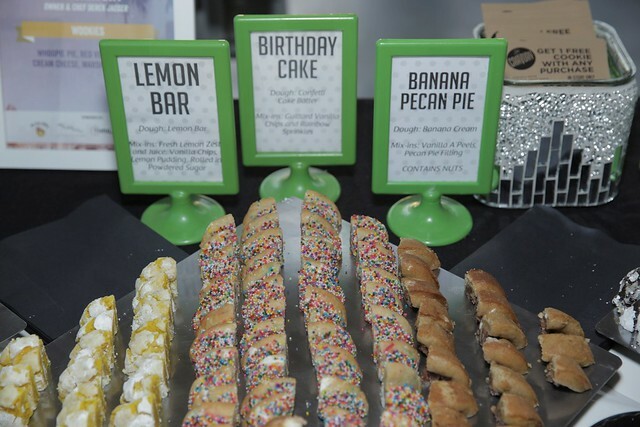 The best part of the evening was knowing that a portion of the proceeds from the party were going back to the United States Bartender’s Guild (USBG) National Charity Foundation, aimed at ending childhood hunger. 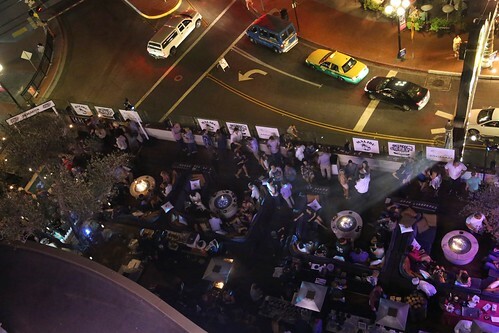 As you can see, Friday’s Taste of Thrillist was enough action to satiate anyone’s party palate. But that was only Day 1. For those who jokingly asked me all last week “Have you recovered from Hotel Thrillist yet?” I gave plenty of stink eye in response, as I moseyed back to my desk with a giant cup of coffee to keep myself alive for another few hours. Indeed, I recovered… but only because I went to bed earlier than my grandparents all last week. 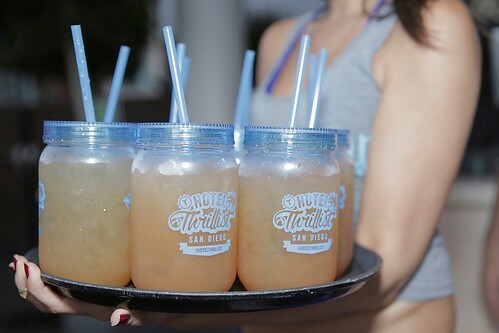 Stay tuned for more details about Day 2 of Hotel Thrillist including an exciting standup paddle boarding adventure hosted by Lululemon, and a pool party that would make Vegas blush!